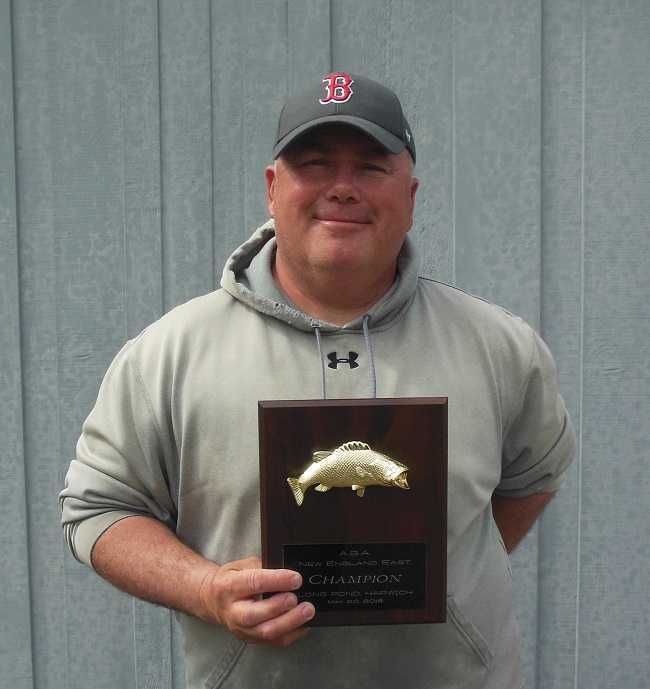 Dan Rose of Raynham, MA won the year-end Division 5 Two-Day Championship. 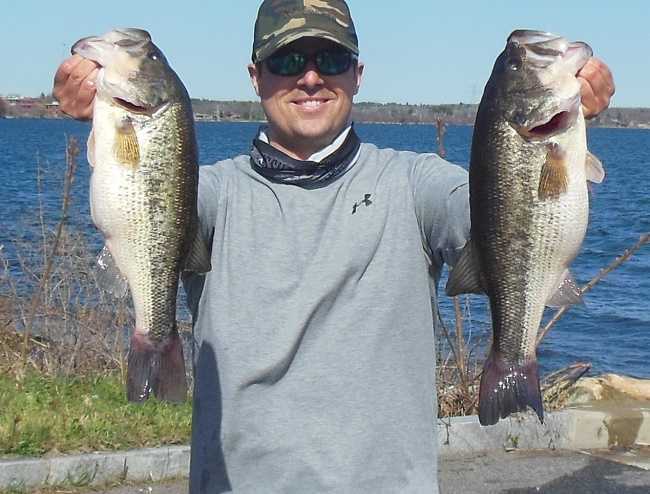 Running out of the State Ramp on Mashpee/Wakeby Pond near Mashpee, MA Dan brought back 4-fish that locked in the scales at 7.72-lbs. 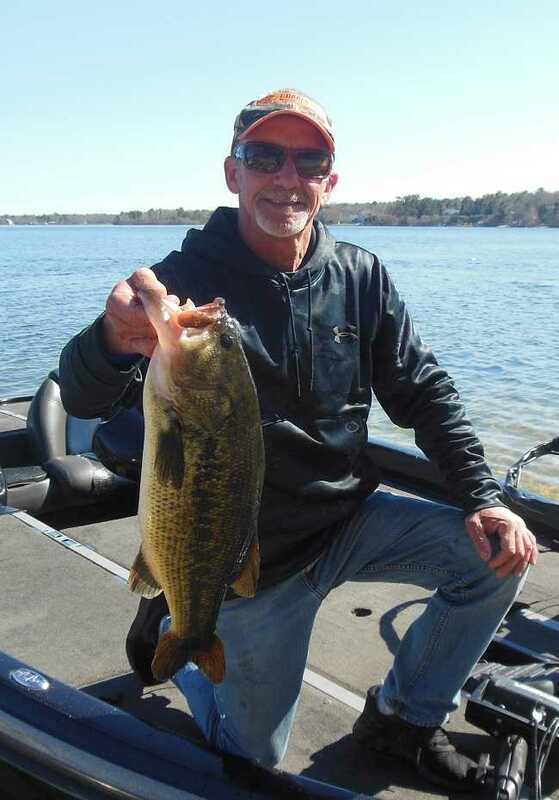 He anchored his Day-One catch with a nice 5.79-lb largemouth. 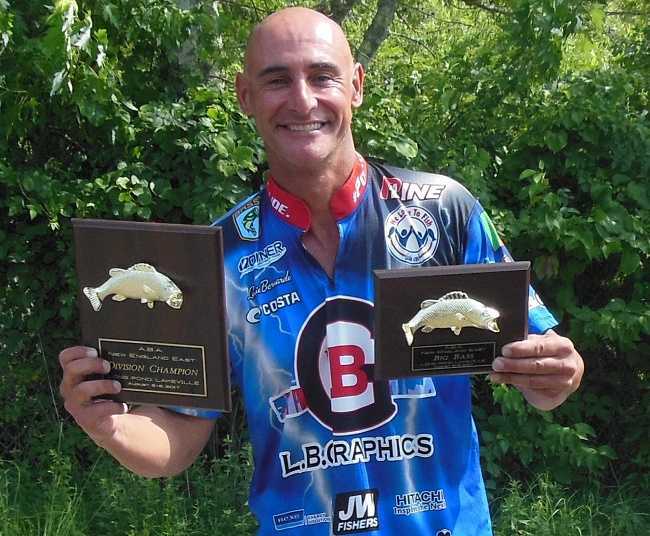 On Day-Two the field launched from the State Ramp in South Watuppa Pond near Fall River, MA and Dan brought in limit of fish that locked in the scales at 11.37-lbs anchored with a 4.33 kicker. 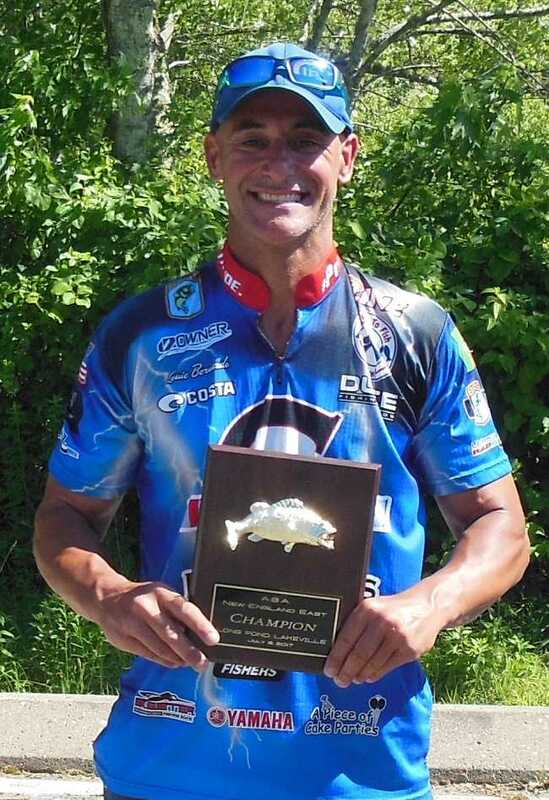 Dan’s two-day total weight was 19.09-lbs sealing his victory and that gave him enough points to lock in the title of Division 5 Angler of the Year. He also claimed big bass honors for both days. 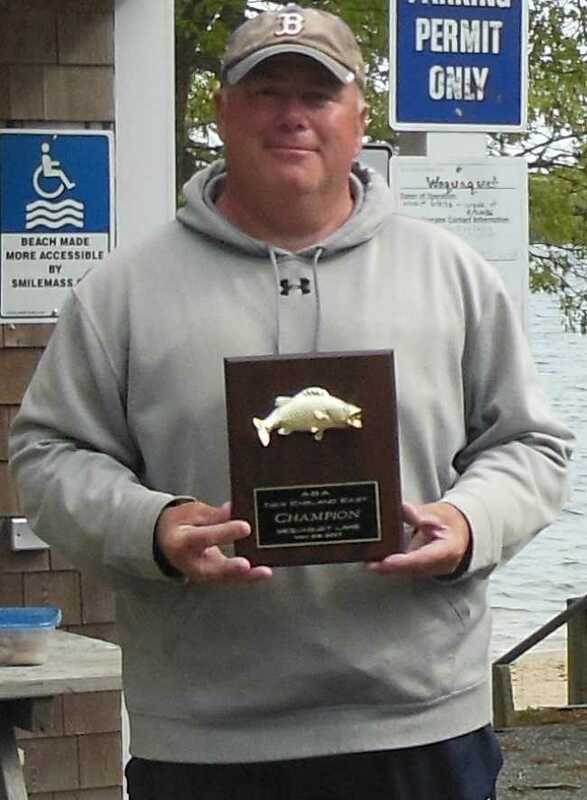 Air temps were in the low 50s when the anglers registered for the tournament at Long Pond, Freetown, MA on Sunday, June 3rd, 2018. I guess Mother Nature doesn't realize it's late Spring and we do need warmer temps to make it through the tournament year. However, it did make it to the upper 50s and the water temps were in the middle 60s. All reports indicated the bite was off, the spawn was over and judging from the weights, it was a slow & frustrating day for most of the competing anglers. 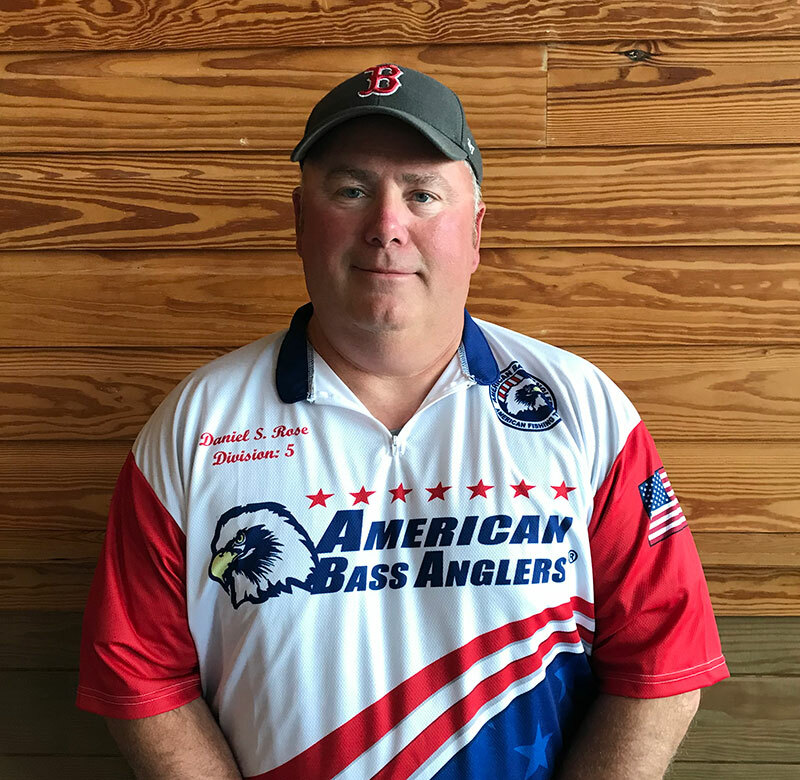 ABA AFT Division 5 held a tournament on Sunday, May 20, 2018 at Long Pond, Harwich, MA. It was cloudy, windy and raining when the anglers showed up for registration. The north wind was blowing at 10-20 mph and remained steady until late mid-morning. According to most, the bite was an early one and seemed to turn off when the sun broke through the clouds and the wind shifted to the SSW. One would think the opposite pattern should have taken place. Nevertheless, we had some beautiful smallmouth & largemouth weighed in for a total of 44 fish weighed in with a combined weight of 75.08 lbs. for an average weight per fish of 1.71 lbs. A full field of anglers ventured out on Sunday, May 6, 2018 on Mashpee/Wakeby Pond, Mashpee, MA. Cool air temps greeted all at registration but as the sun rose, air temps went to the mid 60s and bright sunny skies and a SSE wind at 10-15 mph was the order for most of the day. However, the mid afternoon skies darkened, the wind shifted to the north and the rain showers dominated the weigh in. On a bright sunny day, ABA AFT Division 5 ventured out on Wequaquet Lake, Centerville, MA on Sunday, April 22, 2018. At registration, the air temps were in the high 30s and when the sun came up, they rose to the mid 50s. The winds were from the NW at 5-10 mph & the water temps were in the high 40s and topped out at 50 degrees, as the day wore on. Now, one may think with these conditions, the bass would be in feeding mode but, to the contrary, the opposite was in effect. Because this lake is super clear, most anglers said they could see the bass and the bass were very spooky and took off at the angler’s slightest movement. 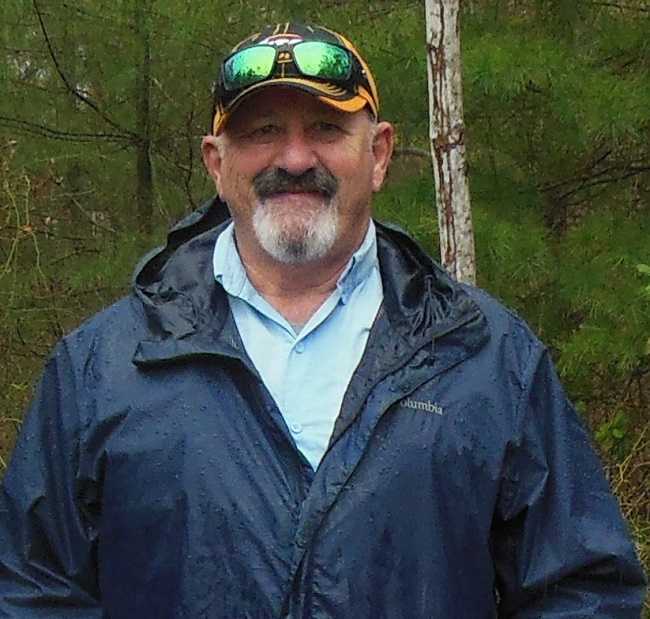 On a cold & blustery windy day, ABA Division 5 fished So. Watuppa Pond, Fall River, MA. When the anglers arrived for registration, air temps were in the low 30s w/water temps in the low 40s, w/a NW wind at 15-20 mph. Not a pleasant day, but the northeast angler is resilient and made adjustments. However, the bright sunny skies made conditions somewhat bearable. 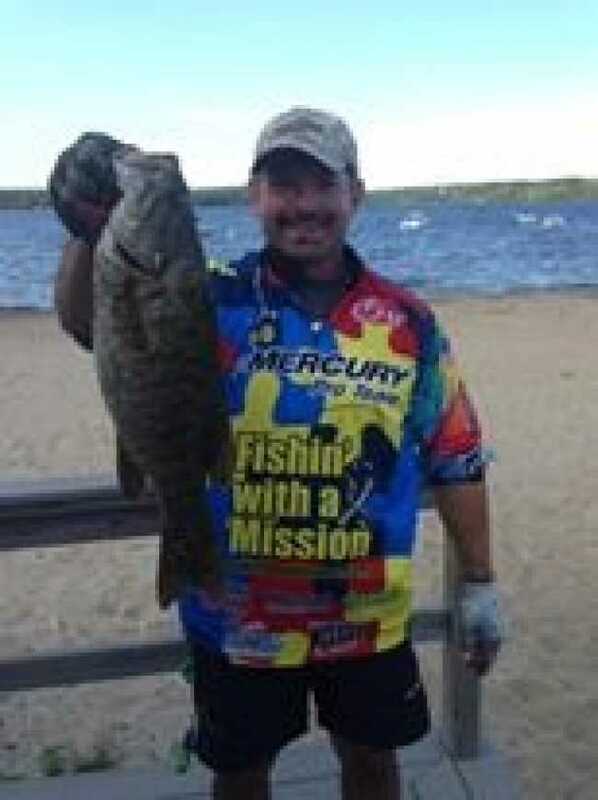 At the weigh in, 18 fish were weighed in w/a combined weight of 34.39 lbs for an average weight per fish of 1.92 lbs. and all fish were released alive. 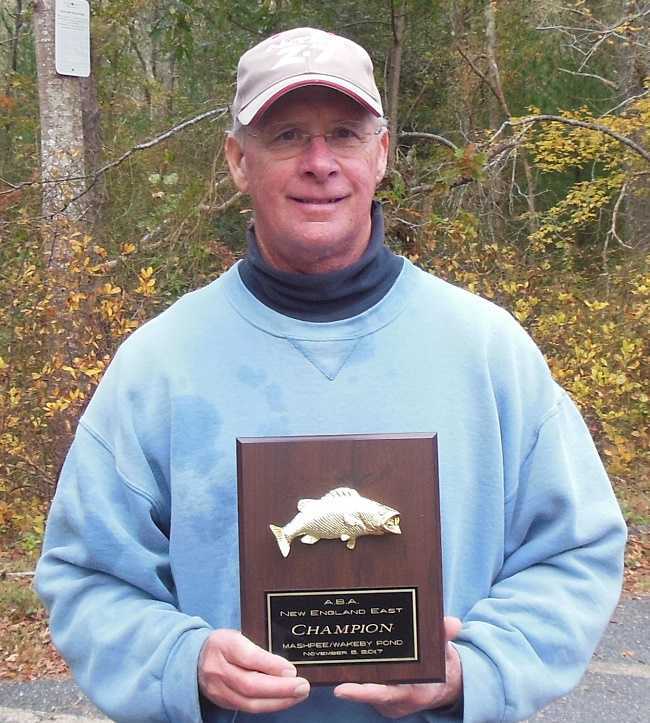 On Sunday, November 5, 2017, George Smith of Bourne, MA won the AFT Division 5 event held at Mashpee/Wakeby Pond, Mashpee, MA. It was a cold, cloudy and windy day with a brisk Northwest wind at 10- 20 mph. These conditions made for a tough bite and only one 5 fish limit was brought to the scales. George was the angler who did that and his limit weighed in at 11.29 lbs. George caught his fish in a grass covered isolated flat and used a floating Senko when the wind was slack. However, when the wind picked up, he'd cast a weighed tube bait, into that same flat, and that was the pattern that enticed the bass to eat. When the scales were closed, George was declared the Champion of this event. 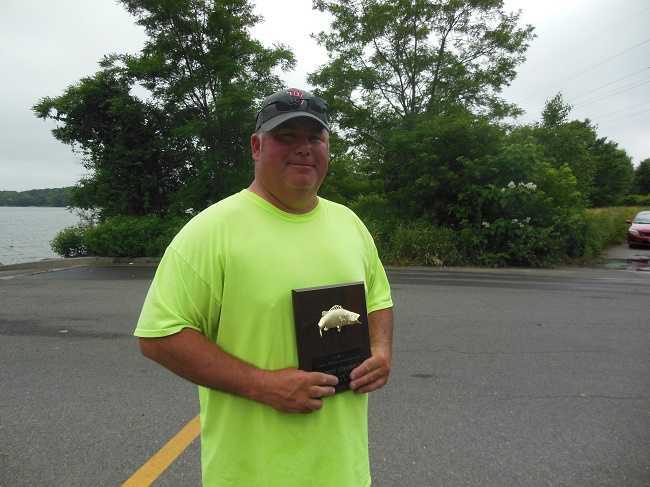 Elias Delany of Chestnut Hill, MA won the September 10th AFT D5 event held on Long Pond. 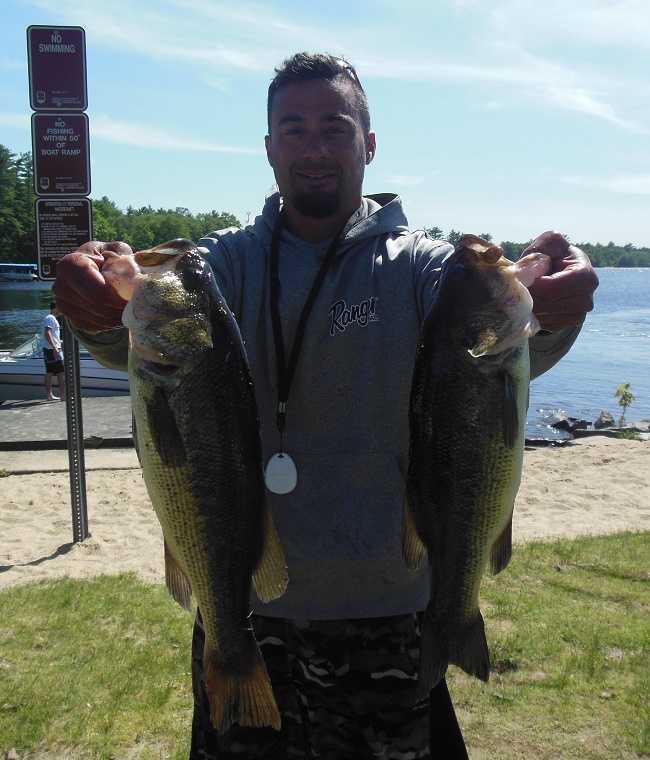 Elias won with a total weight of 16.02 pounds anchored by the big bass of the day weighing 4.15 pounds. 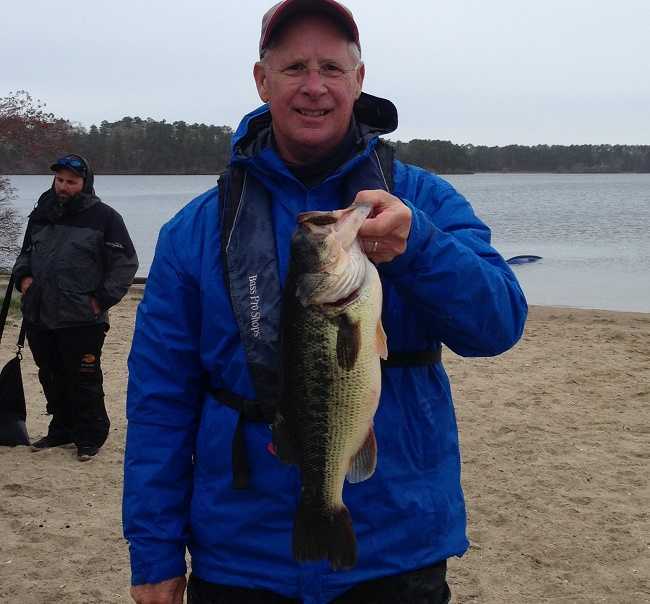 On Day 1, we fished Mashpee-Wakeby Pond near Mashpee, MA and Louie Bernardo of Taunton, MA weighed in a 5 fish limit at 17.59 lbs. anchored by a 4.22 lbs. largemouth bass. He caught his fish in 10-15 feet of water using top water baits & jigs. On a bright and hot day, Louie came out smoking and won the last one-day of the year for division 5. He culled out 3 limits and upgraded his 5 fish limit to 12.93 lbs. anchored by a 4.06 largemouth bass. Our congrats go out to the Champion Louie Bernardo. Louie caught all of his fish on a Yamamoto black 4" cut tail worm, in rock piles, in 4-6 feet of water. On Sunday, June 11, 2017 ABA AFT Division 5 ventured out on Mashpee/Wakeby Pond near Mashpee, MA. We had air temps in the mid 80s, with a mild SSW wind and Sunny skies. The spawn was about over but some some stragglers were protecting their nests. On Sunday, May 28, 2017, ABA AFT Division 5 held a tournament at Wequaquet Lake, Centerville, MA. 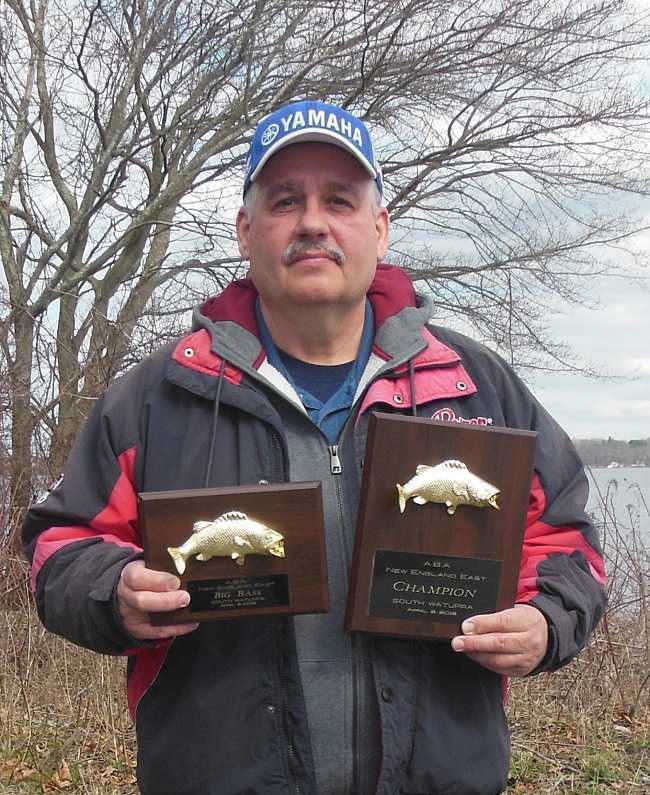 George Smith of Bourne, MA took the win for the AFT D5 event on May 7th, held on Long Pond. 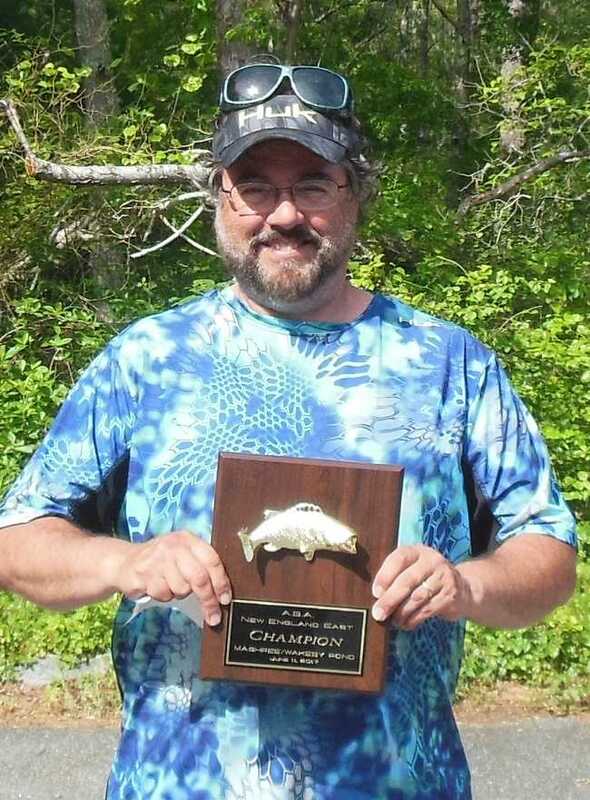 Joe Burchill of Upton, MA took first place in the first event for AFT D5, held on April 23rd going out of South Watuppa Pond.